This Conference Room TV Stand is Ready to Ship! 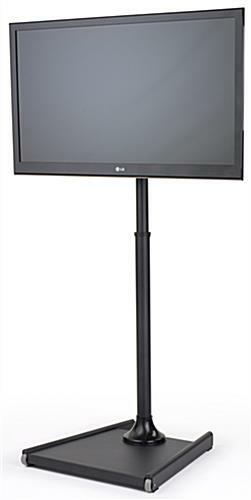 This Signage Display Provides a Perfect Rack for Plasma Screens. This Conference Room TV Stand has a Hollow Post for Hiding Wires. 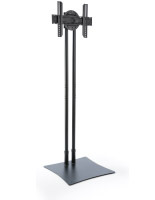 Steel frame and weighted base for a stable and lasting display. 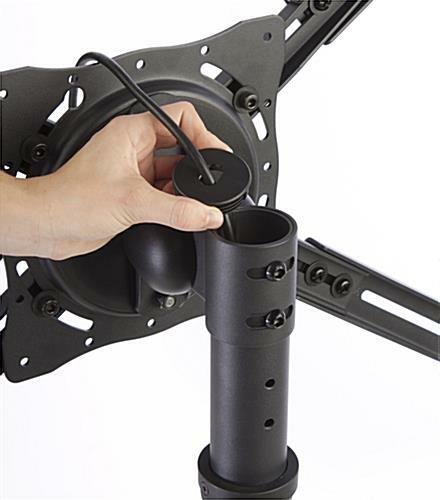 Height adjustable and 69° tilting bracket for the perfect positioning. 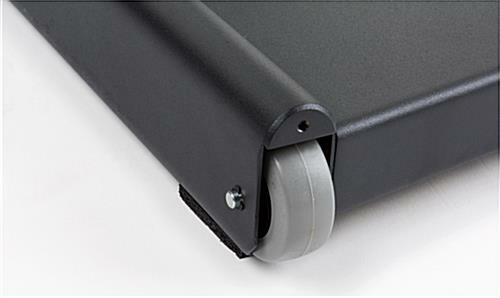 VESA compatible for: 200mm x 100mm, 200mm x 200mm, 200mm x 300mm, 300mm x 300mm, 400mm x 200mm, 400mm x 400mm, & 600mm x 400mm. 2 wheels for moving as needed. 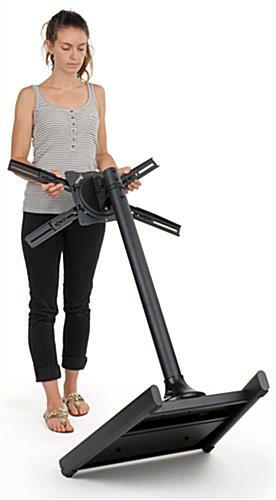 Holds most flat screens 27" to 60" in size weighing less than 77 lbs. 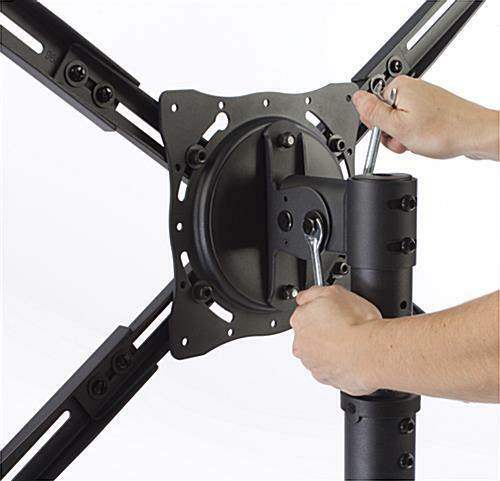 Bracket rotates 90 degrees to show television in landscape or portrait orientation. 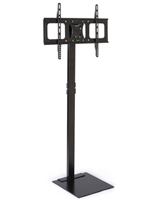 Includes a complete hardware kit for mounting most televisions. However, some televisions may require specific screws that are available at most hardware stores. Base is reversible so it can be slid under a table or facing outwards. This conference room tv stand that has a weighted base is sturdy and provides a lasting lcd or plasma screen mount for use during office presentations. 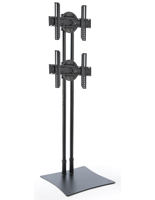 These office monitor mounts can be used during a sit down meeting or for a stand up presentation with the adjustable steel pole. This black finish conference room tv stand is an ideal fixture for any office meeting space. The base faces inward so it can be hidden under the table and out of the way of foot traffic. This conference room tv stand is economically priced and meant to last! 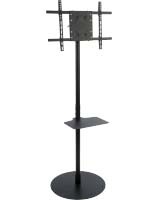 This display mounts lcd or plasma screens or even large computer monitors. This conference room tv stand has a black finish to blend well in any environment. 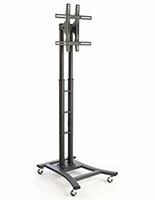 This office monitor cart is ideal for meetings when placed at the head of a table for all to see. This conference room tv stand has a space to hide wires in the hollow steel post. 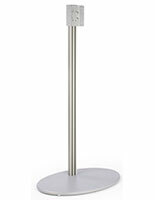 This plasma mount is economically priced and ideal for offices of all sizes! 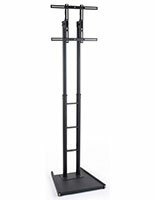 This height adjusting conference room tv stand, also known as an lcd mount, is certain to suit any table height. 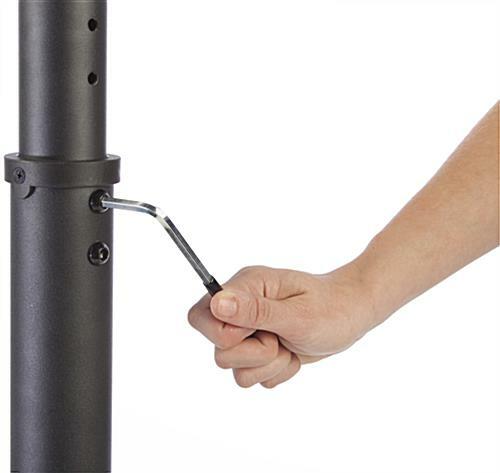 This lcd mounting post for an office can tilt up to 69 degrees. 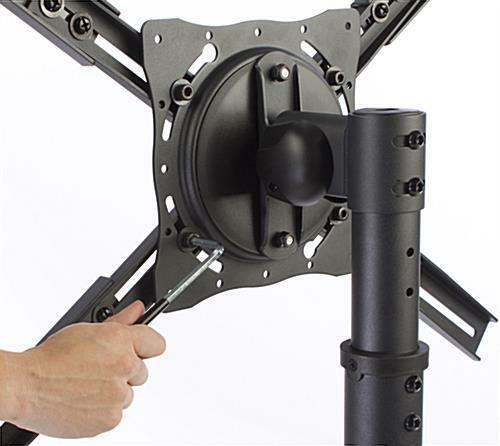 This office monitor mount, conference room tv stand that includes a tilting bracket allows users to adjust to the ideal viewing angle. This monitor kiosk has two wheels to move when desired. This conference room tv stand that has 8 set height adjustments allows users to position stand depending on the use. 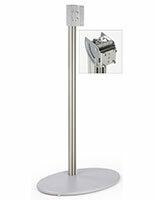 This office plasma or lcd screen mounting device includes a VESA bracket to fit most television mounting schematics. This conference room tv stand is ideal for placing at the end of a meeting table. This fixture blends in nicely in an office environment. 24.0" x 2.8" x 26.0"